The spinal canal is the channel through which the spinal cord and nerves travel as they maintain the connection between the brain and the body. Narrowing of the spinal canal can cause compression and dysfunction of the nerves and spinal cord and this can result in numbness, pain, or even weakness. In severe conditions of spinal canal stenosis, patients can even have complete loss of motor and sensory function and become paralyzed in rare cases. Factors that contribute to spinal canal stenosis include congenital factors where the patient may be born with a narrow spinal canal to begin with, disc herniations that prolapse into the spinal canal and compress or crowd the spinal cord and nerves, fractures where bone fragments can compress or irritate the nerves, dislocations of the vertebrae can narrow the spinal canal, tumors of the spine can result in narrowing of the spinal canal. In addition, degenerative bone spurs, blood clots, and thickened ligaments from degeneration of the spine can also narrow the spinal canal. 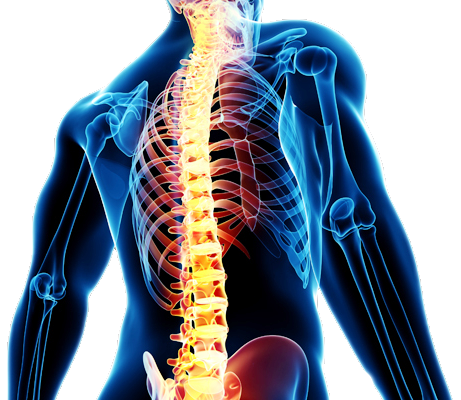 Dr. Ghosh is able to provide state-of-the-art care using both microsurgical and minimally-invasive techniques to address all of these potential causes of spinal canal stenosis. These techniques are described in vivid detail in the Sharp Experience video titled “Lee’s Story.” This can be seen in the video section of the website.